Patrick Dorian, Distinguished Professor Emeritus of Music, was a member of the East Stroudsburg University of Pennsylvania Music Department from 1987 through 2013. In 2010, he was awarded the highest faculty honor, the preeminent rank of Distinguished Professor of Music. He taught courses in jazz studies and film music and was the liaison to the Al Cohn Memorial Jazz Collection. 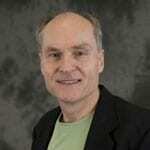 He is the author and reviewer of many professional journal articles, chapters in several books, and CD insert booklets. Professor Dorian’s long-time experience as a concert band and jazz ensemble director make him a sought-after evaluator and adjudicator at many university and high school festivals,including the Clark Terry/University of New Hampshire Jazz Festival and the University of Missouri at St. Louis Jazz Festival. He is an active guest conductor and co-conducted the 2016 Berks All Star Jazz Choir with jazz legend Bob Dorough. He has presented jazz pedagogy masterclasses for teachers and music education students at SUNY Fredonia, Bridgewater State College (MA), and the Penn State University School of Music. Hisbiography is included in Trumpet Greats: A Biographical Dictionaryby David R. Hickman et al. (2013). It outlines Professor Dorian’s accomplished teaching career, in addition to his performing and recording careers, especially as a long-time member of the big bands of NEA Jazz Masters Phil Woods and David Liebman. He has toured internationally, with performances at major jazz festivals, jazz clubs, and concert halls. Professor Dorian is the author of the comprehensive CD insert booklets for Phil Woods Works for Saxophoneby the Celebration Sax Quartet; Live at the Deer Head Inn – Bob Dorough Trio & Special Guests; Live at the Deer Head Inn – Najwa Parkins & Friends;Sea Jam Blues;and Duets.He is the Associate Producer of the CD Elvin Jones Jazz Machine – Live at Carnegie Hallon P.M. Records. Professor Dorianperformed on two Grammy-nominated CDs (Celebration!, Phil Woods & the COTA Festival Orchestra, 1997; Beyond the Line,David Liebman Big Band [DLBB] under the direction of Gunnar Mossblad, 2003). He also performed on the DLBB DVD and CD LIVE . . . As Always(2011), under the direction of Gunnar Mossblad (filmed and recorded in Denver). Recently released recordings include New Celebration by Phil Woods and the COTA Festival Orchestra, Tomorrow’s Expectations by the DLBB, andA Tribute to Wayne Shorterby the DLBB. He continues to record and tour with the DLBB as they perform masterworks by John Coltrane and Wayne Shorter. Professor Dorian is a member of the Scranton Jazz Festival Big Band and has recently performed with Jimmy Heath, Jon Faddis, John Pizzarelli, the Four Freshmen, and the Temptations. In April 2019 when Bob Dorough will be posthumously awarded the nation’s highest honor in jazz, the National Endowment for the Arts Jazz Masters Fellowship, Professor Dorian will be the family spokesperson during the ceremony at the John F. Kennedy Center for the Performing Arts in Washington, D.C. In June 2007, he was presented with the Great Teacher Award by the ESU Alumni Association. In October 2007, he was inducted into the East Stroudsburg Area School District Music Hall of Fame. He was also awarded the Fred Waring Award for Outstanding Contributions to the Arts and the Community. Professor Dorian holds degrees from Northwestern University (MM Performance) and Ithaca College (BM Performance and Music Education) and taught instrumental music in public schools for 14 years. 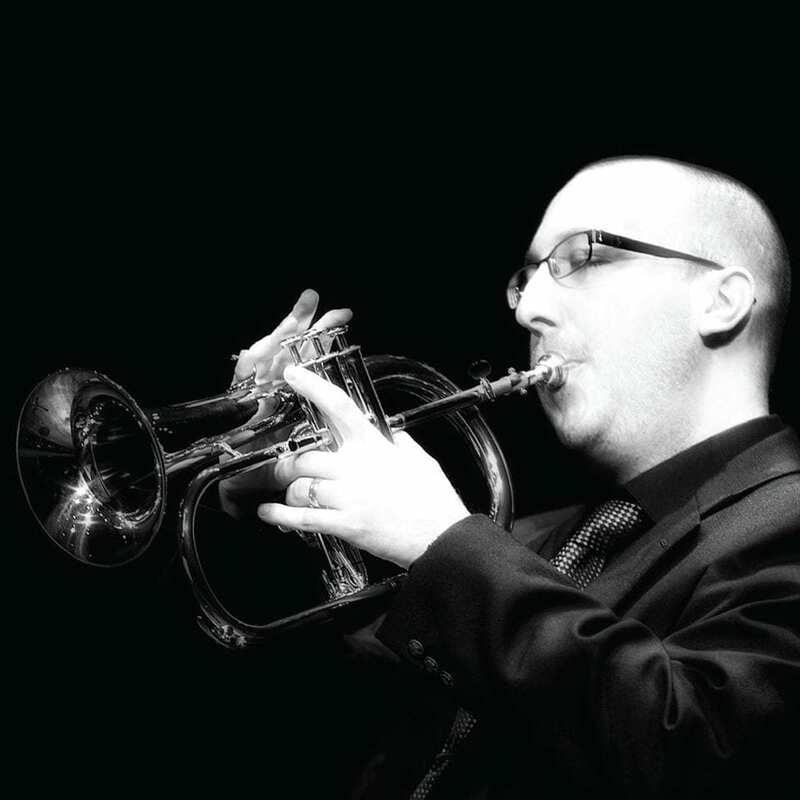 David Jumper is currently the Assistant Professor of Trumpet and Jazz Studies at Marywood University in Scranton, PA. Mr. Jumper has performed throughout the United States and Europe and recorded on several albums for a variety of artists. Recently, he has performed at the New Orleans Jazz and Heritage Festival, the French Quarter Festival, the MNOP Festival in Perigueux, France, as well as venues through Italy, England and Germany. At Marywood University, Jumper teaches the trumpet studio as well coordinates the jazz department. David performs with his New Orleans style brass band (Indigo Moon Brass Band), The Northeast PA Repertoire Orchestra (NPRO), Phil Woods Big Band, and freelances with numerous bands and orchestras throughout the region.Jumper’s students have attended undergraduate and graduate school across the country, and have performed in the National Trumpet Competition, the ITG Solo Competition, as well as All-Eastern and All-State ensembles. He currently resides in Kingston, PA with his wife Tracey.